Last week, I had the pleasure of touring the two Toronto hotels who were awarded the prestigious and sought after Forbes 5-Star rating for 2014. First up was the Four Seasons flagship property in Yorkville. Opened in October 2012, this property features 259 guest rooms, 42 luxury suites, a 30,000 square foot spa, a completely separate, but connected building for its function rooms and two signature restaurants, Cafe Boulud and dbar, by international Chef Daniel Boulud. 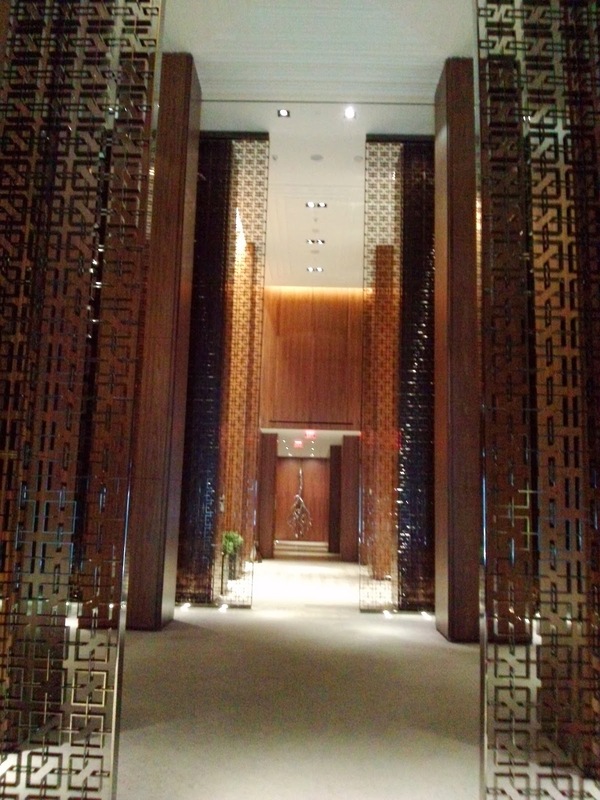 The Four Seasons is located on Yorkville Ave. in trendy Yorkville, just east of Bay Street. In the winter, things can look dismal and grey, but I imagine driving up to the front door of this property in the summer will be lovely. 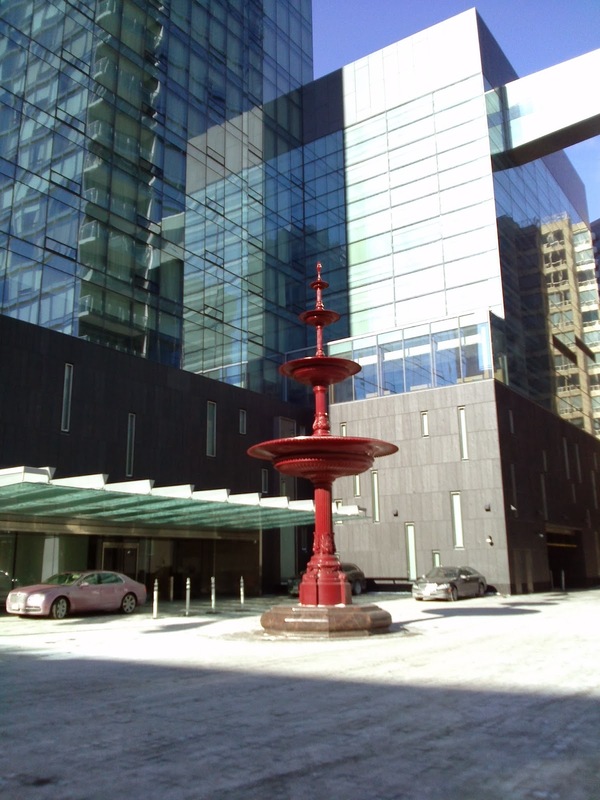 As you pull in, a 4-story red fountain will greet you, along with a large, colourful rose garden just to your right. The road brickwork, is designed to resemble a Persian rug. It's a grand entryway into a shimmering glass tower, squeezed between Victorian architecture, yet it feels like it belongs. The first view inside the hotel is that of a large sitting area, consisting of several comfortable couches and chairs. 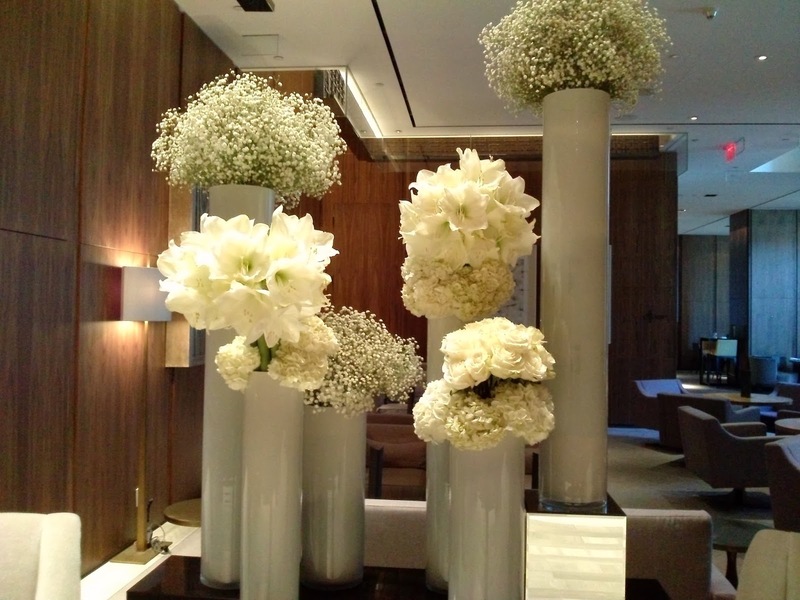 Oversized vases hold white lilies, baby’s breath and hydrangeas (this combination is everywhere in the hotel). There is no check-in desk here. To reach it, you must walk through this entryway, hang a left, then a right. Eventually you arrive at it, but not before you admire the vastness of the soaring ceilings and the grandeur of the artwork. 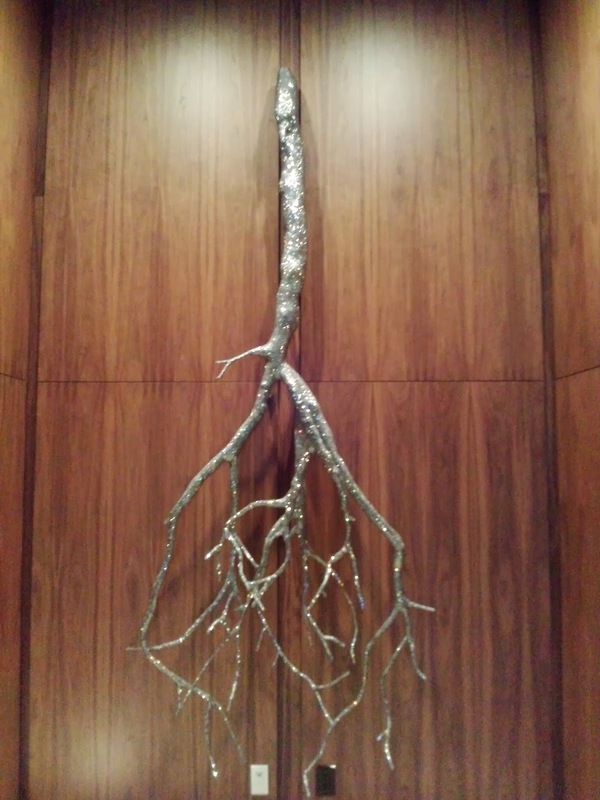 Throughout the hotel 1,700 pieces of artwork, created by 32 Canadian artists can be found. Each piece is exclusive to the Four Seasons. The Four Seasons was also awarded 5-Diamond status by AAA, making it the only property in Canada to earn the top ranking by two respected organizations. Congratulations Four Seasons. Next was a visit to Trump International Hotel and Tower, Toronto. 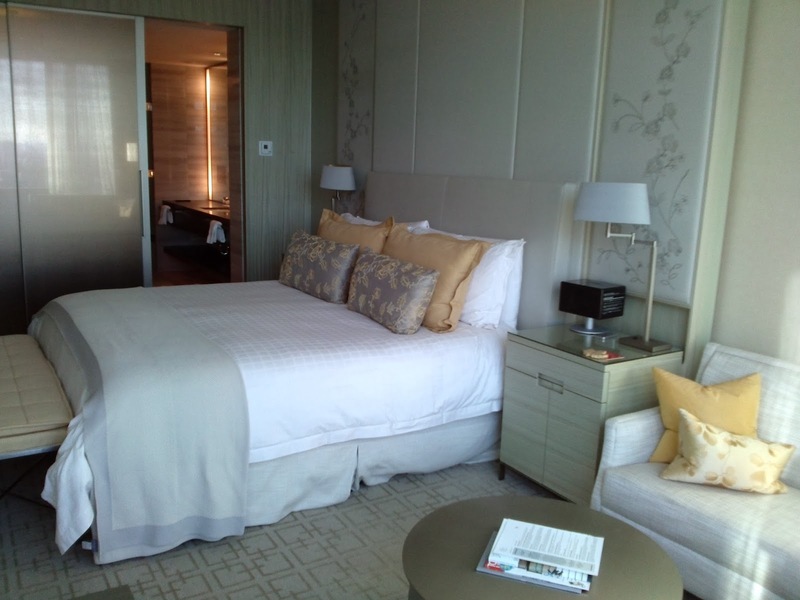 Opened in January, 2012, with 261 luxurious rooms and suites, Trump is located in the heart of the financial district. Trump International is glamorous, with its champagne and caviar (light and dark) theme running throughout the property. “We always try to be unique,” said General Manager, Mickael Damelincourt. I believe this has been achieved. The hotel may be a new structure in an area comprised of many steel and glass towers, but step inside, and it oozes old-style elegance. A large open-entry foyer awaits. Staff who no longer wear name tags, greet you (the expectation with the removal of names tags, is that staff will introduce themselves to the guests). A large (very large) pink crystal piece of art hangs behind the check-in desk. Black and cream-coloured chairs and couches welcome you to sit and enjoy the surroundings. Grand, dark-stained staircases take you from one floor to the next. Black chandeliers hang from stark-white ceilings. It’s a throwback to an era when people dressed up for an elegant evening on the town, rather than the wear-jeans-everywhere-crowd so often seen today. The champagne and caviar theme carries through long corridors leading into each of the rooms and suites, providing a sumptuous experience for those privileged enough to stay here. Along with the Forbes 5-Star rating, Trump International Hotel and Tower, was also named by Tripadvisor as one of the top 10 hotels in the world, and number ONE in North America. That’s something to be proud of. All of this, and have I mentioned there's a Chocolate Lab at Trump? Yes there is, producing daily indulgences for guests of the hotel’s Stock Restaurant Bar and Lounge. 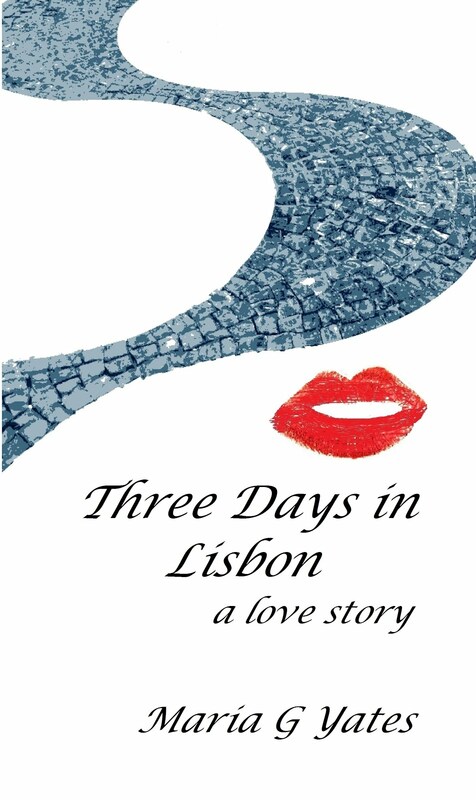 I am also writing a travel blog and have got some hotel reviews please have a look! Thanks Serafina. I hope you can make it here soon. You too have some great photos on your blog. The dining facilities in these hotels and resorts may be a little monotonous. 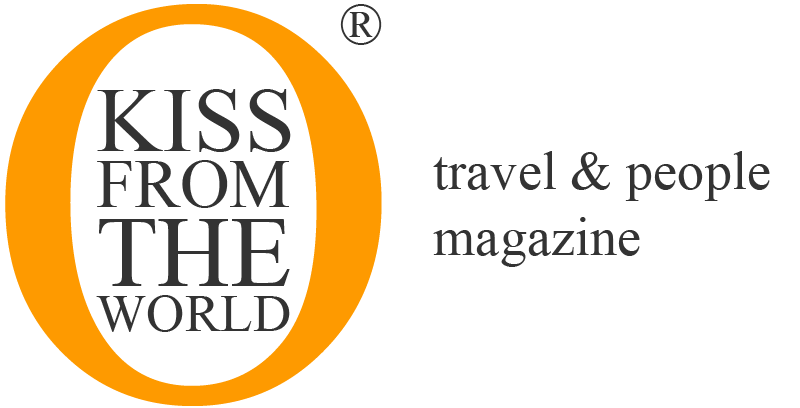 Most of these hotels and resorts are available online for comparison and confirmation. The tourists are advised to choose a hotel after thorough examination for the best accommodation facilities.